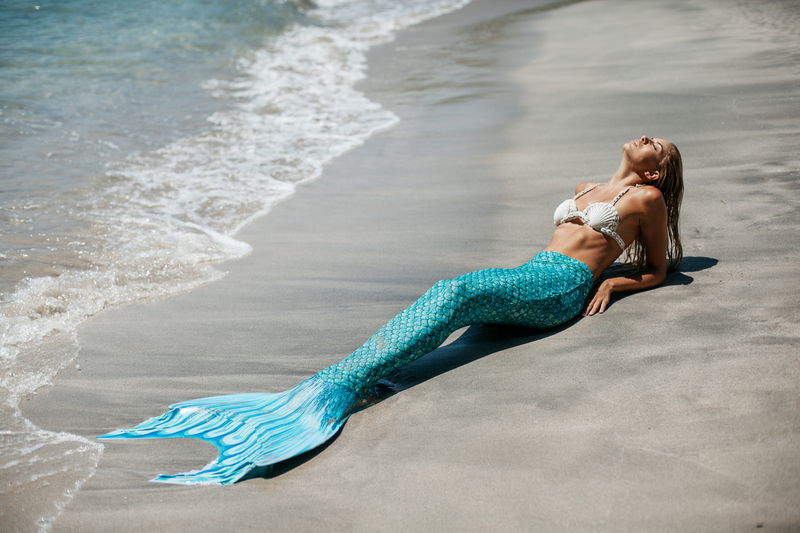 All mermaid tails are made to order and take up to 2 weeks to create. Each mermaid tail comes with with the nylon spandex body/leg costume and a professional mermaid mono fin. Each are blessed by a Hindu Priestess. All tails are size Small - Large stretching to fit different sizes. Please email info@island-mermaids.com to request a children's tail.